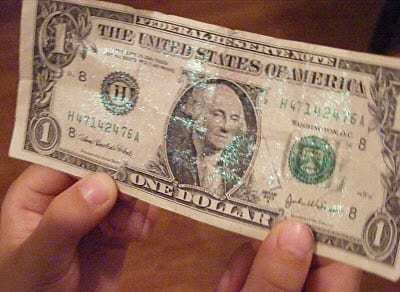 We had our first lost tooth with our 6 year old, and so I wanted to give you some tooth fairy ideas by letting you know how the tooth fairy visits our house. It is funny how excited kids (at least my Abby) get about losing their teeth. Is it because it is some sort of rite of passage or just proof that they are, indeed, growing older? I would think that kids would consider their teeth falling out, and it would be kind of freaky. However, it’s not. It’s exciting. Maybe that’s why the tooth fairy started in the first place. “Kids are going to freak out about their teeth dangling loose and then leaving their skull. How can we ease the fear?” Ding – tooth fairy! Whatever the case, we had all kinds of excitement leading up to it. There was also a battle of who would pull out the tooth. I was out. I’m not a fan of wiggly teeth. My husband was gunning for the opportunity, which makes complete sense. He IS the dad. However, my dad has also been dying to “thunk” the tooth of one of the grandchildren, so he was also in Abby’s ear letting her know he would take care of it. I was pretty sure she had actually chosen to go with grandpa. However, once we were there she decided she had to let her dad do it. My husband got the opportunity to try over and over again but just couldn’t get the grip he needed. Finally, we were at my parent’s house and both my husband and my dad said it was the day and they’d help get it out. She was suddenly super hesitant with both of them. We were all hanging out, and all the sudden she waltzes in the room with tooth in hand. Apparently, my niece, Elena, grabbed at it to get it to the dangling by a thread stage and Abby yanked it out the rest of the way. My dad and husband couldn’t believe they had both lost the opportunity. This happened on the evening of my 20th…gulp…high school reunion, and we were all spending the night at my parent’s house. 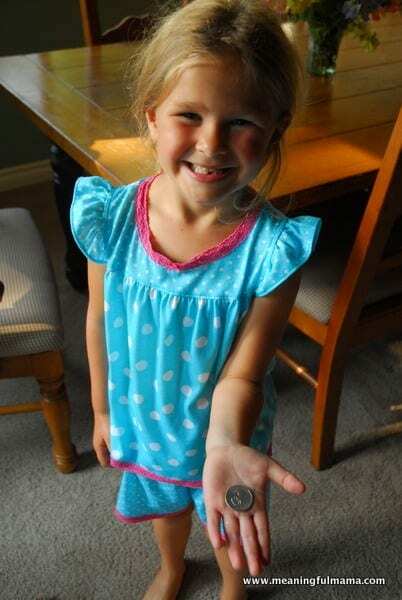 Luckily, the tooth fairy got word and was able to fly herself there. I added a reunion picture just for fun. 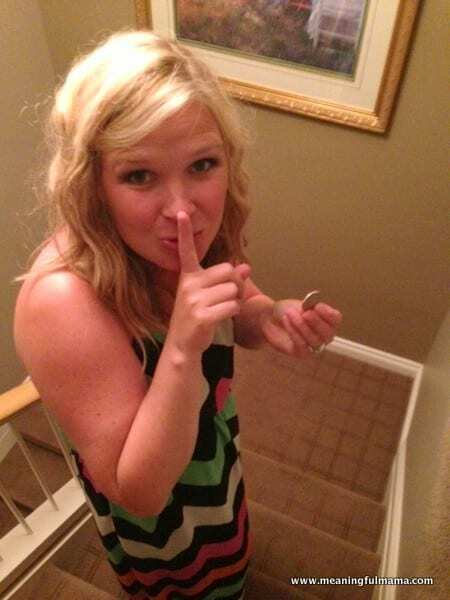 Luckily, when we arrived home from the reunion, my husband reminded me that the tooth fairy needed to visit. Good job, Honey! The first thing I decided to do was get a silver dollar for Abby. Luckily, I had prepared ahead. I just asked for one at the bank, but I really should have asked for a whole stack. Another tooth is super wiggly again, and I’ll have to go back to the bank. *UPDATE: I when and got a whole stack and now I actually spray paint them with glitter spray paint and add the glitter. 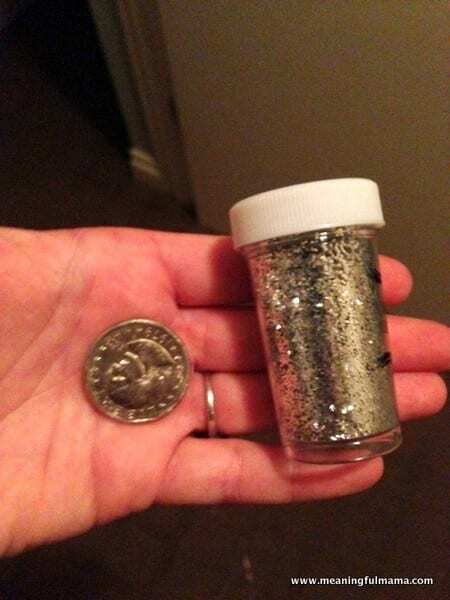 The second thing you’ll need, if you want the tooth fairy to visit in a similar way, is glitter. I got this idea from my friend, Jennifer. She called me when her daughter lost her tooth and said, “Do you have any glitter?” Brilliant. I love the idea. Make it a little extra special with glitter. Simple but effective. 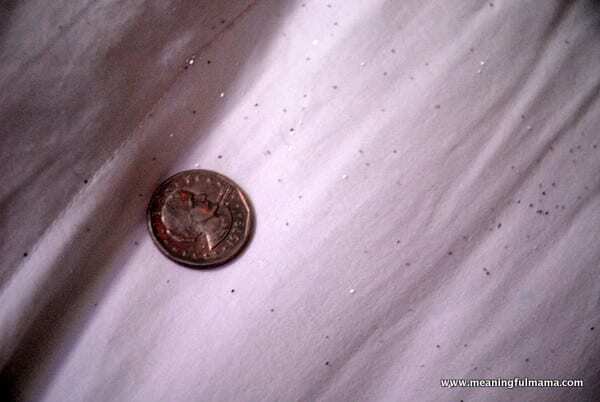 I decided to just sprinkle some on and around the coin under the pillow. By the way, I’m sorry for the horrible pictures. The camera phone + the middle of the night = bad photos. Armed and ready, it was time to sneak downstairs to get the tooth and leave the glitter and coin. There you go. There’s noticeable glitter with this special coin. My daughter takes after me and woke up at an awful time in anticipation. I did not need to be woken up at 5:30 in the morning after high school reunion night, but I do understand this personality. That’s one advantage to raising yourself. I saw a couple other tooth fairy ideas as I was searching the web tonight. 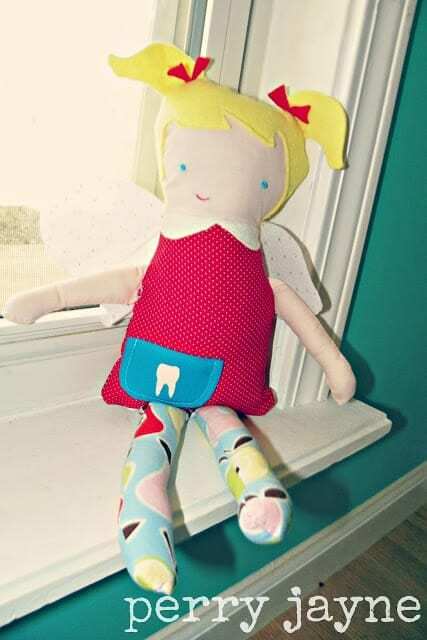 I think this tooth fairy doll from Perry Jayne is adorable. I had a lot of fun with the toothfairy as well. we made a “toothcase” for my son using an old empty travel medicine kit and some scrapbook supplies. Inside was a little poem and picture I drew (stick figure style) that was supposed to be my son with an open mouth smile and spot where a “tooth” was missing. This was where we placed his tooth. He received a gold dollar coin for the first tooth along with a gold “monster marble” which was a toy he was into collecting at the time (the gold ones being the hardest to find). the tooth fairy also delivered him a tiny letter complete with a tiny envelope addressed to him. on the back of the letter was his tooth receipt showing which tooth was lost, the age he gained the tooth and age lost, the date and his “prize” in exchange for the tooth. So I went a little overboard but after all it was the first tooth so I couldn’t help it. Like I said, I did have a lot of fun and I did get a lot of ideas from pinterest. Oh my! I love all those ideas. You have inspired me. Yes, you must have done every idea off of Pinterest you found. Such fun ideas. 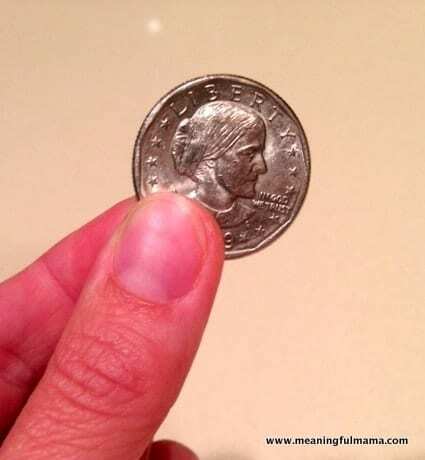 I just went to the bank yesterday and loaded up on “silver” dollars. They actually gave me a variety – what they had on hand. So, I have a few gold ones, a few silver ones and a really big one. I bought some glitter spray and just sprayed them today. With another tooth coming out soon I figured I should be better prepared. I may steal some of your ideas too. Thanks! Great ideas and I love your photos. Such fun! 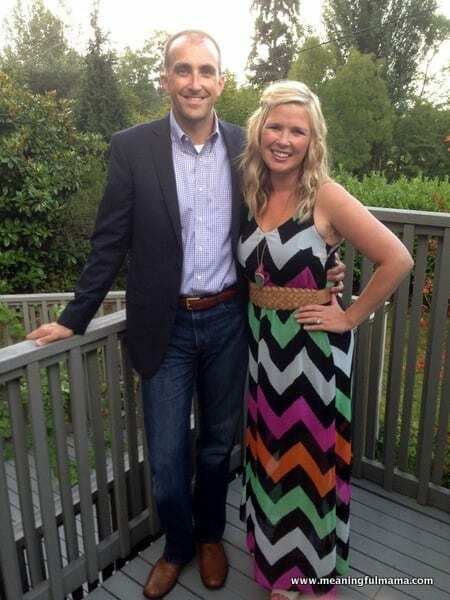 Linked here from We are THAT Family. Thanks so much for stopping by. I look forward to checking out your blog too. I can tell you that I love how well loved your Bible is. I love the glitter on the coins idea! My daughter is about to lose her first tooth and i really want it to be a magical experience. I’m going to combine the glitter idea with a personalized video from our tooth fairy on my kazoobu kids website. if you have time can you please check out the real tooth fairy on our website? I think that adding her to your post would be a great addition to your post. Thanks again and keep up the great posts! 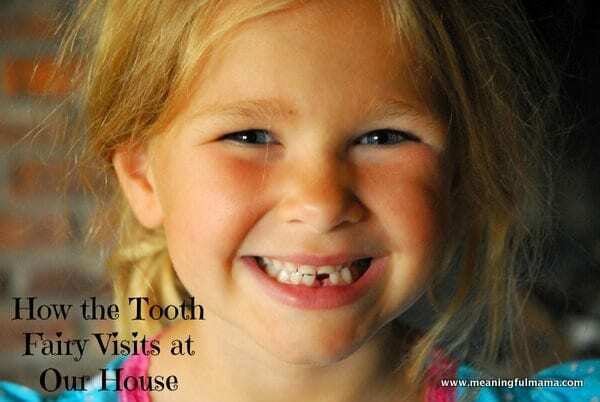 This was a great idea to celebrate the loss of tooth with your child. It can be a magical experience for them. Please visit the website at http://www.thesnaggles.com and see video at http://www.youtube.com/watch?v=FWL3oVvIyIE This is a new tooth fairy idea created by a Mom for her children that you and your child might enjoy. Keep being a great Mom! My parents have bought a silver filigree tooth box. Love it! That’s really cool. I was thinking about buying a little box for the first one and having the fairy leave it behind with money too saying it’s a special tooth and my daughter should just keep the first one. It’s too late for my oldest, but I may need to do it with my next. Thanks for sharing. Brings back such lovely memories of when my 3 were little. My daughter loved fairies so when her first tooth came out we spindled glitter from the window to her bed as a fairy trail and i used to do that every time with all of them. The fairies also used to leave a tiny letter in a tiny envelope saying thank you and what they were going to use the tooth for – my daughter wanted to know why fairies needed her teeth and why they paid so on the spot i told her that they made them into furniture and bowls and anything they needed in their tiny houses – so the letter would say thank you for your tooth Jade we needed a new chair because our little fairy daughter is sitting up with us now at the table like you are with mummy and daddy and jake … etc etc. I loved doing it so much! I absolutely love hearing your stories. Your imagination and creativity is inspiring. I’m sure your kids have such great memories of all of this. This really brought a smile to my heart. Thanks so much for taking the time to share your own life with me. Seriously inspiring! My daughter has just lost her 1st tooth and we did the exact same thing. but I sprinkled the ‘fairy dust’ in a little trail leading from her dolls house. A few days previously I had prepared her by saying I think the tooth fairy might come into her room through her dolls house! It worked and was a wonderful idea! she was excited to get her coin, letter and certificate but just as excited to see the fairy dust! How fun! I love how you prepped the whole situation. Isn’t it just fun to be a kid?